Peaceville, Darkthrone, the Norwegian Black Metal legends, marks its 2019 return with a sublime slab of relentless riffing in the true spirit of the underground. This edition of Old Star is presented in a special 3 x 7" vinyl set, on black, white & clear vinyl. 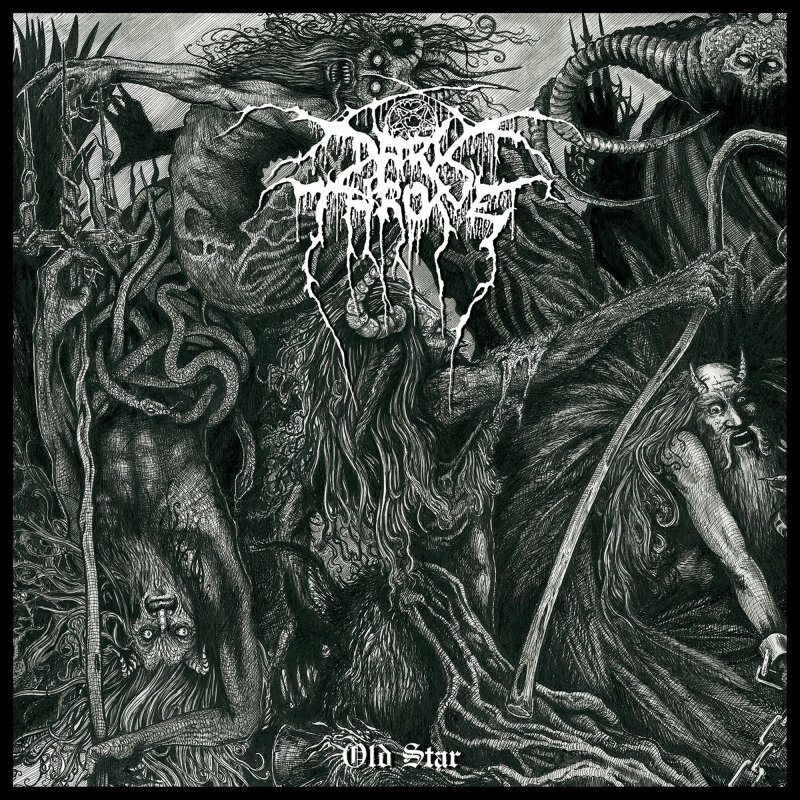 Over the course of 30 years, Darkthrone has become a staple of the global Black Metal genre, forging a legacy as one of the most influential bands in its illustrious and often infamous history. In its formative years, Darkthrone made its mark with a strong concoction of Thrash, then Death/Doom Metal experimentation. Never ones to follow convention or stand still even then, the band soon embraced a much darker, more primitive form of expression with its iconic second album A Blaze in the Northern Sky. 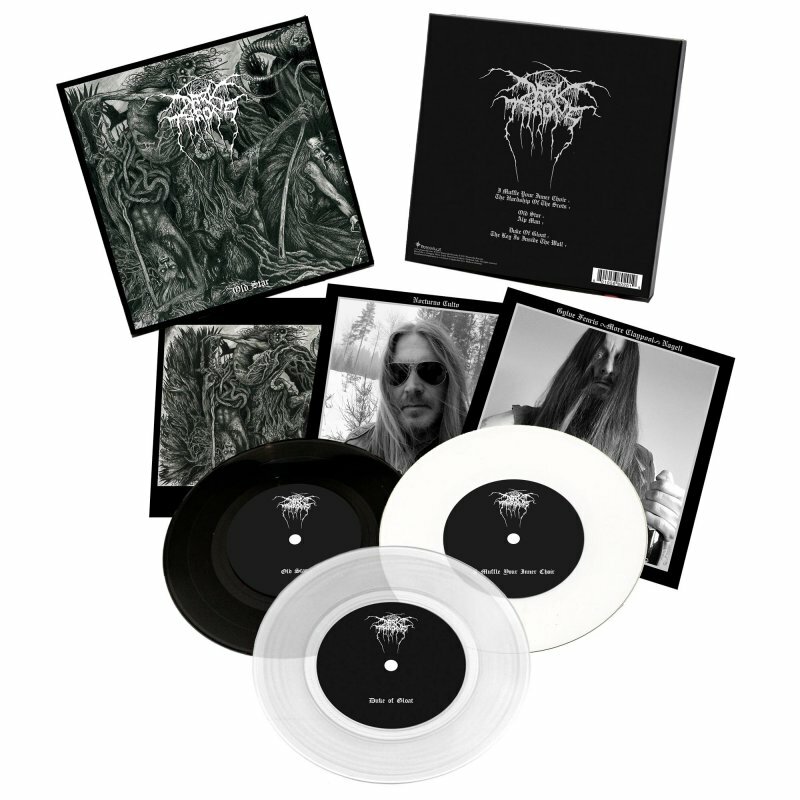 Now the longstanding duo of Fenriz and Nocturno Culto return with their first studio album since 2016?s hugely popular Arctic Thunder.. Old Star displays a mastery of the art of the riff, with its 6 epic tracks taking in the best of the old school of Heavy and Extreme Metal combined with a large dose of Doom channelled through the grime of the underground. Vocalist/guitarist Nocturno Culto?s production is complemented by a powerful, organic mix courtesy of Sanford Parker (Voivod) at Hypercube Studios. Mastering is courtesy of Jack Control. The stellar cover artistry is by Chadwick St John (titled The Shepherd Of The Deep).